Consumer affairs, including the story of a gang that stole £5 million from small firms by selling bogus adverts. Presented by Winfred Robinson. The criminal gang that stole more than five million pounds from small firms, by selling bogus magazine adverts. In some cases, the criminals even took their victims to court and sued them, when they refused to pay for adverts that never appeared. We investigate why banks can, and do, freeze customers' bank accounts, sometimes for weeks, without giving them any explanation. What rights do you have if you are refused access to your own money? 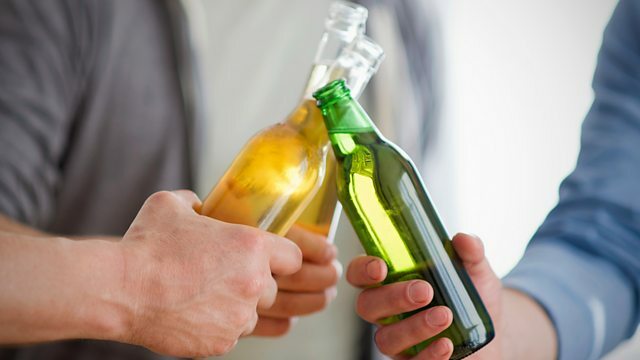 Sales of alcohol-free beers are increasing, and for drinkers who want to reduce their alcohol intake, they offer the promise of an authentic flavour, without the hangover. More products are arriving on the market, but do any of them genuinely taste like the real thing? Beer without the hangover - why we're buying more alcohol-free ale. When the bank refuses you access to your account for weeks, without explanation. Petrol is less than a pound a litre at some forecourts. But should it be even cheaper? The online shop the credit-checks all its customers. The criminals, abusing the civil courts to sue their own victims.